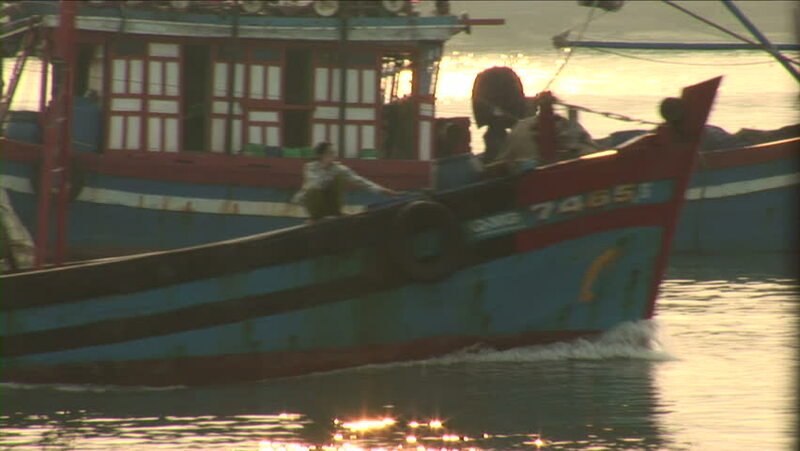 HANOI, VIETNAM - CIRCA 2011: Old looking fishing boat in Hanoi driving into fishing market to deliver fish at sunset, 2011. 4k00:12'Hue, Vietnam - February, 2016: The night scene of the most remarkable bridge, Trang Tien bridge in Hue, Vietnam. The bridge is across the main river of central Vietnam, the Perfume river.